Choosing The Best Type Of Mattress Topper - Which? Find the best mattress topper for your body and budget. From memory foam to microfibre, we reveal the pros and cons of different types. There are four main types of mattress topper: memory foam, feather and down, microfibre and latex. We've broken down the pros and cons of each type to help you find the best. In an April 2018 survey of more than 1,700 Which? members, more than three in four agreed that a mattress topper made their mattress much more comfortable. It's a great, inexpensive way of improving your mattress if you don't want to buy a whole new one. Each type of mattress topper feels different to lie on. Down toppers feel plush and cosy, while memory foam is firm and spongy. Read on for a run-down of each of the main types to help you decide. If you already know which type you prefer, visit our list of the best mattress topper brands to find out where to buy one. Made of a temperature-sensitive material, memory foam will react to your body heat and contour to your shape - something manufacturers claim helps relieve painful joints. It should spring back to the same height each time you use it, too, unlike down or microfibre, which need to be fluffed up. However, some people don't like the feel of memory foam and find that they overheat on it. It's worth trying it out in-store before buying. Some memory foam toppers will smell quite synthetic when new, but this will fade within a week. To whisk away the smell more quickly, hang the topper up outside or in an airy room to let it breathe before putting it on your bed. Feather and down mattress toppers have a more traditional feel and you can find cheap down mattress toppers for as little as £50. Premium feather and down, including Hungarian goose down, can be very expensive, though. These natural options can flatten down quickly and will need regular fluffing to retain their shape. You might find that they have a musky smell at first, too. Feathers and down aren't always taken from birds in a humane way. To ensure you're buying a topper with down that has been responsibly farmed, you'll need to check with manufacturers and retailers to find out what their policy is. Microfibre is a synthetic material, often used in pillows and duvets, and is the most affordable of all mattress topper types. It's a great basic option if you need a mattress topper on a budget. It's not as breathable as down, and will flatten quicker, but this can be fixed by regularly shaking it to fluff it back up. Its synthetic fibres make it hypoallergenic, too. Some are sold as ‘anti-allergy’ - these ones are treated with a chemical to ward off common allergens such as dust mites and pollen. Made of either rubber tree sap or synthetic rubber, latex mattress toppers tend to be cooler and more breathable than memory foam. Latex contours to your body shape like foam, but its elasticity means that it will bounce back quickly. 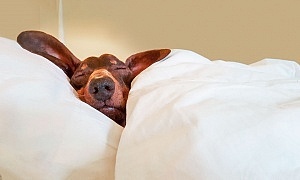 It is usually quite expensive, but manufacturers claim that latex is more durable than any other bedding material, so it should stay comfortable for longer. Latex has an unusual feel, which is different to either memory foam or down. Some people like it and some don't, so it's worth trying a latex topper or mattress in-store before you buy. 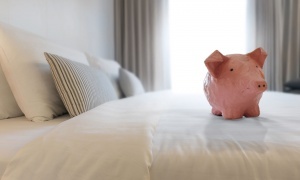 How much do you need to spend on a mattress topper? 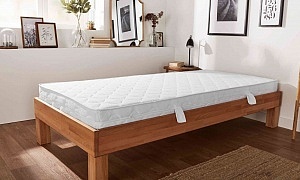 Some premium mattress toppers, such as The White Company's goose down toppers, can cost over £200. But others are available for under £30. Premium down and latex toppers will cost more than memory foam and microfibre. While a mattress topper can make a tired mattress feel warmer or more comfortable, it's worth noting that there is no evidence that mattress toppers help with body support. If it's a more supportive night's sleep that you're after, you'd be better off buying a Best Buy mattress - we've found excellent ones for less than £200. To find out which are the best mattress topper brands, in April 2018, we asked 1,767 Which? members to tell us about their mattress topper. To work out customer scores, we asked what brand of topper members owned, whether they were satisfied with it, and whether they would recommend it to a friend. We also asked them to rate their topper for comfort, value for money and how well it matched the description. Check out our guide to find out what people think of the brand of mattress topper they own, including how comfortable it is and whether it was good value for money, covering major brands such as Ikea, John Lewis and Dunelm. If you're a Which? member and would like to take part in our surveys to help shape our magazine and website, click to join our Which? Connect reader panel.